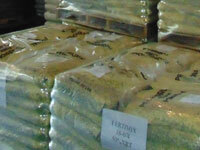 At Fertimix, we can blend a fertilizer specific to your needs. Whether it's for a small area or a large expanse. Whether you need it for professional or consumer use or whether you are applying it or resell it, we can create a custom mixture of fertilizer to suit your needs, at any scale. Visit the Custom Fertilizer page for more information regarding our custom blended fertilizer solutions. Fertimix is Open to the Public! We offer multiple different products including our custom blended fertilizers, herbicides, insecticides, grass seeds and Melt-Mor de-icers for retail sales at our location in Jordan, Minnesota. For information about our location and how to reach us, visit our Contact page. For additional information visit out Homeowners page. Fertimix supplys local Professional Turf Management companies with our custom blended, liquid and granular Fertilizers, Herbicides and Insecticides. 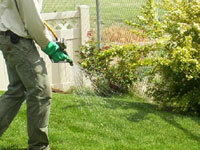 We offer a broad range of innovative products to meet your fertilizer needs. Whether big or small, our projects are executed with precision, in accordance with the highest quality standards. You can rely on us to get the job done right! Visit our Pro Turf Formulas page for more information. At Fertimix, we can custom blend fertilizers to better suit your needs utilizing results from a soil analysis. Whether you have completed a soil analysis or have samples that need to be analyzed, bring the results to our location in Jordan, MN so we can create a blend to suit your needs. 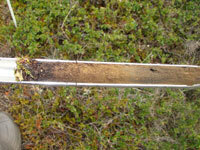 For more information on soil analysis and how to a collect sample for analysis, visit our Soil Analysis page.